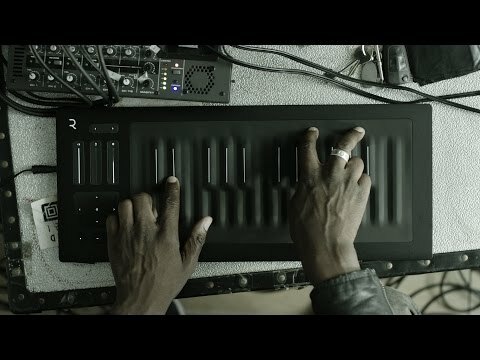 Seaboard RISE is the world’s first truly accessible expressive MIDI controller. It establishes a new standard in music-making devices by combining the intimacy of acoustic instruments with the versatility of electronic music. Paired with Equator, our powerful software synthesiser, the Seaboard RISE unlocks unprecedented creative possibilities for contemporary musicians in a joyfully-crafted evolution of the keyboard. The Seaboard RISE marks a turning point in the accessibility of Expressive MIDI products to a broad consumer market. It is the first Expressive MIDI device to offer an easy-to-use multi-platform synth, the first with an integrated user control panel, and the first to perform wirelessly with an integrated battery and Bluetooth over MIDI. © 2015 ROLI Ltd. All rights reserved. 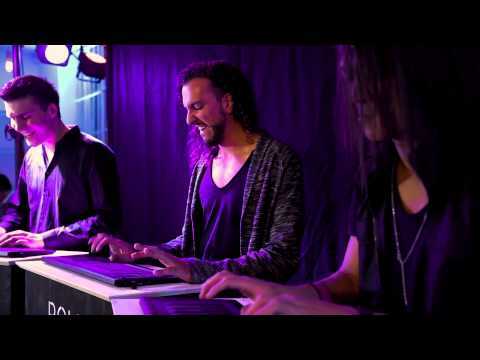 Seaboard RISE is a registered trademark of ROLI Ltd.
One dimension of touch—Strike—controls sound on a piano keyboard. The multidimensional Seaboard RISE lets you control sound through five dimensions of touch. It moves far beyond the expressive limitations of a standard keyboard, opening up new ways to make and shape music through intuitive gestures. Seaboard RISE Flip Case helps you express yourself visually as well as musically. It's designed to protect your Seaboard RISE and to act as a stand too.